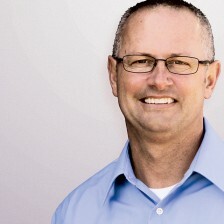 Dan Seaborn is the Director of the Marriage and Family Network for the American Association of Christian Counselors as well as an author and speaker. In 1995 he founded Winning At Home, Inc., an organization that produces media resources and hosts special events to develop marriages and families. Dan and his wife, Jane, have four children and live in West Michigan. Dan is the author most recently of Once-A-Day Nurturing Great Kids Devotional: 365 Practical Insights for Parenting with Grace (Zondervan 2014). He is also the author of The Necessary Nine: How to Stay Happily Married for Life (B&H 2007), Stay Married for Life: One-Minute Reflections For Couples (Credo House 2010), 2 to 1: One-Minute Reflections For Couples (Credo House 2011), Marriage Rendezvous: One-Minute Reflections For Couples (Credo House 2012), Leaving a Legacy: One-Minute Reflections For Couples (Credo House 2013), and Stay Married for Life: 9 Joy-filled Steps to a Great Relationship (AACC 2011).